If you are buying or selling in the Katy real estate market this spring or summer, you’ve got a move ahead of you! 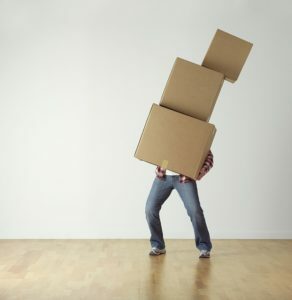 Reports have shown that moving can be as stressful as or more stressful than planning a wedding or getting a divorce. That’s a lot of stress! You can avoid much of it, though, by planning ahead. As your Katy real estate agent, I am here to help! First, check out my Moving Checklist, which gives you a guideline to follow eight weeks before, six weeks before, four weeks before, three weeks, two weeks, one week and 2-3 days before. Follow that, and you won’t miss a step or have to backtrack steps! I’ve also got 14-foot moving trucks available for my clients to use for FREE! The trucks come fully loaded with a ramp, three dollies, and a bin full of furniture pads. Whether you’re buying, selling or both with us, these trucks are offered to our clients based on availability. 1. Do you have references? This day in age, it’s easy to look a company up on Google and find reviews from past clients. However, if you can’t find any reviews, or even if you can, it’s still a good idea to ask the company for references so you may contact past clients and ask them questions about the quality of service. 2. What specific services do you offer? This varies greatly from company to company, so determine what your needs are, and then see if each company you contact can provide them. Will they move a grand piano or four-post bed? Will they load a truck you rented yourself? Ask what their minimum and maximum workloads are. 3. Do you offer in-home estimates? There’s no better way to find out what a moving company will cost than to have them actually come to your house and give you an estimate. Have a few do this and you have a great way to compare. Make sure to get the estimates in writing! 4. Will you draw up an inventory of my items? When using a moving company, you risk the chance of losing items. It’s helpful if a company is willing to create a detailed and organized list of your items. This can save you a lot of time from having to do this yourself as well. 5. What happens if something is lost or damaged? Find out what each company’s policy is on this. Most will offer optional coverage for repairs or replacements, which will cost more, so it’s up to you to decide if this is important to you. 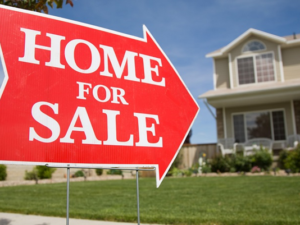 Before you move, you need to accomplish your home-buying and/or home-selling goals in the Katy real estate market. As your Katy real estate agent, I am here and ready to help make that happen! Give me a call and let’s work toward your goals this spring/summer. Make This Spring When You Buy or Move Up in Katy! Buy a Katy, TX home this spring! Have you been either wanting to buy your first home in Katy, or wanting to move up to a bigger or better home? As your Katy real estate agent, I am here to tell you that now is the time to do it! Believe or not, once you sift through all of the fear-based opinions on the internet, you’ll find that now is still one of the most affordable times to buy real estate. Right now, the median household can afford a home 1.5 times more expensive than the median home price. Comparably, in 1980, the median household could only afford about 3/4 of the median home price, due to high mortgage rates. Despite stagnant incomes, affordability has grown because of the drop in mortgage rates. While they’re hovering between 4 and 5 percent now, they were up to 16 percent in the 1980s! Of the nation’s 100 largest metros, only one became unaffordable between 1990 and 2016. At the same time, 22 flipped from unaffordable to affordable. The only time housing was more affordable than it is now is the past few years, especially after the housing crash, when there were lots of foreclosures and short sales available at major discounts. Mortgage rates were lower too, but they’ve begun to increase now. This is proof that if you want to buy a Katy home, either as a first-time buyer or as a move-up buyer, your best chance is now! Home prices and mortgage rates are expected to continue increasing, which will cause housing affordability to go down. Want some other reasons to buy a Katy home this spring? 1. You’re paying a mortgage either way. If you currently rent, you’re already paying a mortgage. You’re paying your landlord’s mortgage! Your landlord will reap the rewards when they go to sell, but you are losing that money and will never see it again. 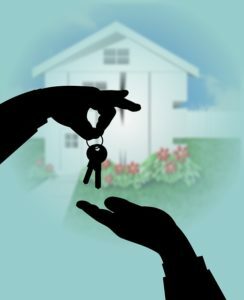 Invest in your own future as a homeowner! If you want to move up, you too are already paying your own mortgage. You can use your funds from your current home to put a down payment on your next home. 2. You have reasons for wanting to buy. If buying is on your mind, you must have some good reasons. If you’re buying for the first time, do you want to invest in your future and stop throwing your money away on rent? Do you want some privacy after living with parents or roommates? If you’re moving up, do you want more space to grow your family, or a bigger yard for your pets, or a better location? Keep these reasons in mind to give you motivation! If you have home-buying questions, or you’re ready to buy in the Katy real estate market, I’m here to help. Contact me, your Katy real estate agent, today! Happy New Year! Is your 2018 new year’s resolution to finally buy a Katy, TX home? Have you been considering it for a while but are finally going to do it this year? As a Katy real estate agent, I am happy and eager to help you out! Whether you want to buy this winter or this spring and beyond, I am here to answer your questions and guide you through the process. The first step in the home-buying process is to get a preapproval from a mortgage lender. Most real estate professionals will agree that in today’s market, with housing inventory lower than usual, you shouldn’t even begin browsing for a home until you’re preapproved. Why is this step so important? For one, it lets you know exactly what you can afford. This will save you wasted time searching for homes above your budget, not to mention heartache when you find a home you love and then later realize you can’t afford it. Two, it helps home sellers take you seriously. If you fall in love with a home and want to put an offer down, a seller is more likely to accept your offer if they know that you’re already preapproved for that amount. In this competitive market, bidding wars can happen, and if another buyer is preapproved and you’re not, the seller is likely to go with that buyer. Finally, it makes the whole process go faster. If you put an offer down on a home, and you’re already preapproved for a loan, the closing tends to happen much faster, since you got the initial work out of the way. 1. Capacity: Your current and future ability to make your mortgage payments. 2. Capital: The money, savings and investments you have that can be sold quickly for cash. 3. Collateral: The home, or type of home, you’d like to purchase. 4. Credit: Your history of paying bills on time and the amount of debt you have. Automate your down payment savings – Automatically deposit some of your paycheck into a savings account for a down payment. 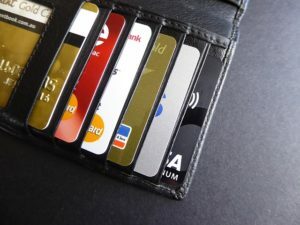 Build your credit history and keep it clean – Pay down debt, pay your bills on time and fix any credit report errors. Practice living on a budget. Cook and make coffee at home rather than buying it out, and don’t buy new cars, clothes, furnishings, vacations or any expensive items right now. If you need help finding a local mortgage lender, I can point in you the right direction. If you’re ready to begin the home-buying process now in the Katy real estate market, contact me! I am your Katy real estate agent, ready to help you achieve your home-buying goals in 2018! As a Katy homebuyer, you might consider house hunting as the most stressful part of a home-buying process, and some buyers would agree! Other buyers would say that the most stressful period was after they put an offer on a home and had to wait for closing day. Every home-buying process is different, depending on the buyers and sellers, the Katy real estate agent involved, compromises and negotiations, timelines, the house itself, the home inspection and appraisal, and so on. 1. Your mortgage rate could expire. Your mortgage lender will typically lock in the interest rate they quoted you, for 45 or 60 days, but closing on a Katy home could take longer than that. This is especially true if any issues arise, such as open permits or illegal renovations. Keep an eye on rates. 2. The mortgage process isn’t over. You’re not in the clear until closing day papers are signed and the keys are in your hand! 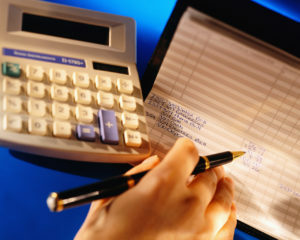 Some lenders will continue to verify income, credit and so on until the very last minute. Don’t go moving around funds, spending a bunch of money or changing jobs without running it by your mortgage professional. 3. The house isn’t yours yet. Until all of the papers are signed, you can still back out. Request a walk-through 24 hours before the closing to see that things are as they should be. If the seller hasn’t made repairs that you agreed on, or hasn’t moved out yet, or systems aren’t working, you can postpone the closing if need be. 4. You might need to do homework. Find out if the seller was required to disclose issues with the home, or if it’s “caveat emptor,” or buyer beware. Either way, it’s not a bad idea to do some research on the home to see if there’s any outstanding permits, or any issues with the local building department or health department. What does this all mean for you? Zillow recommends that for the smoothest closing, Katy homebuyers must have a reliable, experienced Katy real estate agent on their side! Your agent can refer you to quality mortgage professionals in the area, along with attorneys, inspectors and more, which saves you time and stress. 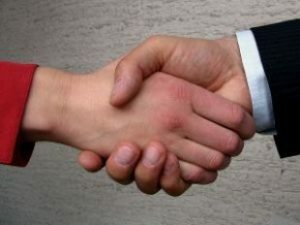 Agents also negotiate on your behalf, to ensure that you are satisfied and comfortable with the closing agreements, timelines and compromises made with the home seller. Ready to buy a Katy home? Contact me! I would love to work with you as your Katy real estate agent, to ensure a smooth home-buying process for you and all those involved. Call me as soon as you’re ready to get started, or if you have home-buying questions. I look forward to hearing from you!